First, an overview of the current state of affairs within Israel. In many ways, the state of Israel is in a stronger position now than ever. Per capita gross domestic product is $31,000. The World Economic Forum?s Global Competitiveness Index ranks Israel sixth in innovation capacity, just after the United States. It is behind only the United States and China in the number of companies listed on NASDAQ. Militarily, Israel is the region?s superpower, with an armed force stronger than any of its neighbors. The US is aiding Israel financially in building a new missile defense program. Israel also has one of the world?s largest nuclear defense arsenals, estimated at more than 200 missiles. Finally, the security wall that it has built around the nation has ended the suicide bombings that used to plague Israel. In that sense, it is probably the safest it has been since its founding in 1948. Second, the security issues for Israel are nonetheless dangerous and unpredictable. Hezbollah to the north in Lebanon is armed with rockets that could reach Tel Aviv?and perhaps Jerusalem. Hamas in Gaza is armed with simpler rockets that could wreak havoc on southern Israel. With the uncertainty in Syria, the fall of the Assad regime could disrupt the military and material support Iran gives to both terrorist organizations. But a more radical regime in Syria could actually enhance the threat to Israel?s security. Further, the development of nuclear weapons in Iran could threaten the very existence of Israel. Combined with the bellicose language of Ahmadinejad, Israel cannot ignore this real nuclear threat. For that reason, should the world not reach some kind of deal with Iran that is verifiable, Israel may strike in self defense. In addition, Russia is supporting Syria in an inexplicable and certainly indefensible manner. Its tangible support of Iran militarily and its decisive support of Syria?s Assad make Israel uneasy and increasingly wary of Russia?s intentions. Finally, Israel?s border with Egypt is uncertain. For over 30 years, Israel has enjoyed a real peace with Egypt. Its southern border has been one of its most secure. But no longer! With the fall of Mubarak, Israel is now building a security fence along this southern border because Egypt is no longer policing the Sinai. I just returned from Israel and one of the greatest concerns Israel has is that the Sinai is becoming a breeding ground for terrorists. Hence, the fence! Israel is prosperous, wealthy and growing remarkably in almost each category. But it is also perhaps most vulnerable in terms of its defense. The government of Israel under Benjamin Netanyahu has therefore adopted an ethic of survival, always aware that it is in imminent danger of extinction. Therefore, the government of the US must be Israel?s solid partner and protector. I am not certain our current president sees it that way. Third, a word about Christians in the Middle East. Michael Oren reports that the Christian share of the Middle East?s population has plunged 20% from a century ago to less than 5% today. In Egypt, 200,000 Coptic Christians fled their homes last year after beatings and massacres by Muslim extremist mobs. Since 2003, 70 Iraqi churches have been burned and nearly a thousand Christians killed in Baghdad alone, causing more than half of this million-member community to flee. Conversion to Christianity is a capital offense in Iran, where in February Pastor Yousef Nadarkhani was sentenced to death. Saudi Arabia even outlaws private Christian prayer. As 800,000 Jews were once expelled from Arab nations, so today Christians are being forced from lands they have inhabited for centuries. As Oren demonstrates, the only place in the Middle East where Christians are not endangered and are indeed flourishing is Israel. Since Israel was founded in 1948, its Christian communities (e.g., Russian and Greek Orthodox, Catholic, Armenian and Protestant) have expanded more than 1,000%. In its Declaration of Independence, Israel pledged to ?ensure the complete equality of all its citizens irrespective of religions.? Therefore, Israel guarantees free access to all Christian holy places, which are under the exclusive auspices of Christian clergy. In contrast, since Hamas took over Gaza in 2007, half the Christian community has fled. Christmas decorations and public displays of crucifixes are forbidden. Oren declares that ?In a December 2010 broadcast, Hamas officials exhorted Muslims to slaughter their Christian neighbors.? The West Bank is also losing Christians. Christians were once 15% of the West Bank population but are now only 2%. Consider Bethlehem: When Israel controlled Bethlehem, the city?s Christian population grew by 57%. But under the Palestinian Authority since 1995, those numbers have plummeted. Oren writes: ?Palestinian gunmen seized Christian homes?compelling Israel to build a protective barrier between them and Jewish neighborhoods?and then occupied the Church of the Nativity, looting it and using it as a latrine.? 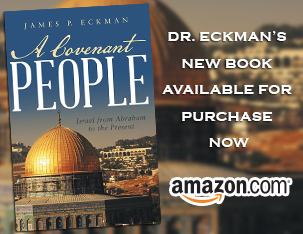 Today, Christians comprise a mere 1/5th of Bethlehem?s population. The extinction of the Middle East?s Christian communities is unbelievably sad and an injustice of absolutely historic proportions. No one can defend what has happened! And yet the contrast between how Israel has respected, honored and actually cultivated Christianity and how the Islamic areas have actually fostered the destruction of Christianity could not be more marked. May the world take notice of this stark contrast! May God protect His people in these increasingly hostile and difficult lands. re: Israel. I am making copies to take to our SS class for those who are interested.